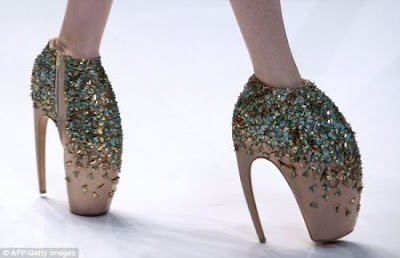 … by wearing such a torture shoe. I was looking for a comfy pair of shoe around when I stumble on these shoe photos. I restrain myself from wearing too high a heels now since it’s breaking my back and we don’t have a lift at school and I have to tread a stairway to get to my classroom, obviously some signs of aging (nyahahah) but kidding aside, I know stilettos as they are fondly called, are medically not advisable as it is mechanically unstable but why women so love to torture themselves (well, obviously I’ve been a victim too) by wearing so. Since this tool to protect our feet was invented it already has evolve into too many faces and has targeted mainly women. Then and now! Are there any difference? It has just evolved into modern way of punishing women. And the sad part mere women consumers cannot dictate shoe fashion; it’s the author(ities) that dictate it so, meaning the big players in the shoe industry. We can’t do anything but buy what’s on the shelf. Oh my! unsa naman ni? torture? hehehe... di tawun ko ka dare anig suot.. ikaw ate vernz? kaya nimo ni nga mga heels? It's what they call passion for 'fashion' (anything out of the ordinary)even if it hurts. OUCH! Just by looking at them. lotus feet! i remember kris aquino's movie.. haha.. pero kakatakot yon huh.. yong movie? pati yong binding process ng chinese girls.. shocking na tradition talaga yan..
ei, interesting photos of shoes.. si victoria adams-beckham pala may super nice shoes na walang heels.. naalala ko lang..
and speaking of shoes with killer heels.. i just bought a pair of 4 inches high na wedges from sm today.. super sale kasi eh.. love it!!!! Nice post Vernz! None of these shoes I could wear. My lolo was a full-blooded Chinese. 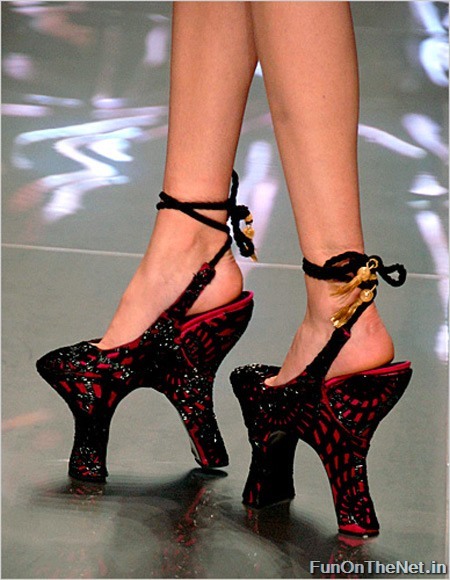 I've heard stories about those kind of shoes Chinese women used to wear. Those shoes were made up of steel. 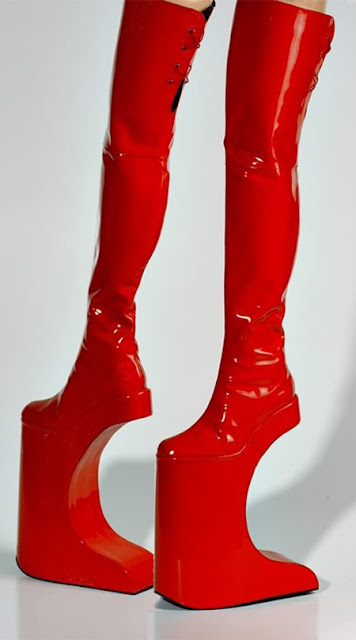 They made women wear those so that feet would stay small. So they wouldn't be able to roam around -- part of discrimination against women during the early years. Have a nice day Vernz! @ Mrs. Kolca, ako din shopping junkie ng shoes ... Imeldific ....pero di masyado ..
@ Cee, so true Cee... wawa no, thanks for the drop..
that's what some people called....FASHION.....lol!